Are you worried about debt in January? 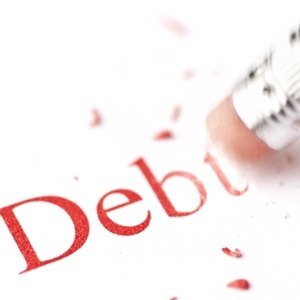 QUESTION: Is it better to get debt consolidation or to be under debt review? ANSWER: Capitec Bank gives a good explanation of the different options when you get into trouble with too much debt and struggle to keep up with your monthly payments. Apart from debt consolidation and debt review, there is also debt administration through a court order and selling of assets (voluntary sequestration). Sequestration is the only option where debt can be written off to start afresh (when assets are not enough to repay all debt). Debt consolidation is where you use one single loan (personalised or on security of a house or other assets or security) to pay off all other loans. It simplifies your debt problem and makes it easier to manage. You will now have only one monthly repayment amount which will probably be less than the previous ones combined. The reason is that you can negotiate a longer paying off period. It is preferable to the other more drastic measures where a court order is involved and you will have less control over your own affairs. You’ll probably also get affordable credit insurance more easily.You must remember though that you’ll end up paying more interest in the long run because of the longer term of the loan. Also be careful if extra money is available through this consolidation loan to use that as leverage to take on more credit, putting you back where you started. This is when you ask a debt counsellor to help restructure your payments so that they become more affordable. The debt counsellor will let your credit providers and the credit bureau know about the application and then assess your financial position to determine what you can afford to pay towards debt each month. Your debt counsellor will then negotiate lower fees (perhaps longer payoff periods and even lower interest rates as well) with credit providers and organise that the affordable payback amount be distributed among them. They will not be able to take legal action against you while you are under review, but you will also not be allowed to take up any more credit until your debt has been repaid and a certificate of clearance has been issued. Debt review is not free. Ask your debt counsellor to explain all the fees and when you will have to make payments. Debt review is a legally binding plan. Your renegotiated terms are set by the court, and you are legally required to pay it, says Capitec. Debt review is the better option when you really are not able to handle your debt. Or when a debt consolidation loan is in itself unaffordable and you don’t want to sell assets or be sequestrated to get out of a debt trap.